Sony Music Entertainment launched Rockin’ Goat this week onto Android and iOS, focusing on the life of a goat who wants to start the greatest rock and roll band of all time. 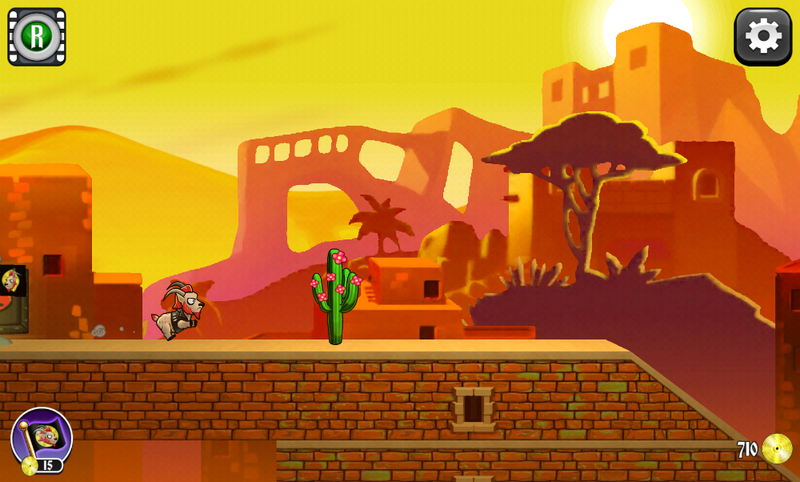 The game is a basic platformer, where you ram obstacles and jump over others. At first, the game is very hard to figure out with regard to what you can ram through and what you need to jump over, but once you learn the course, it isn’t that bad. While jumping and ramming things is always great, but watch out for the game’s IAPs. They are everywhere. Ranging from $0.99 all the way up to $99.99 (give me a break), users can purchase boosts, collect Gold records, and purchase other upgrades which help your little goat do better in the game. Check out the full list of features, and then, download it on Google Play if you like rocking out with goats.